This is not science fiction. 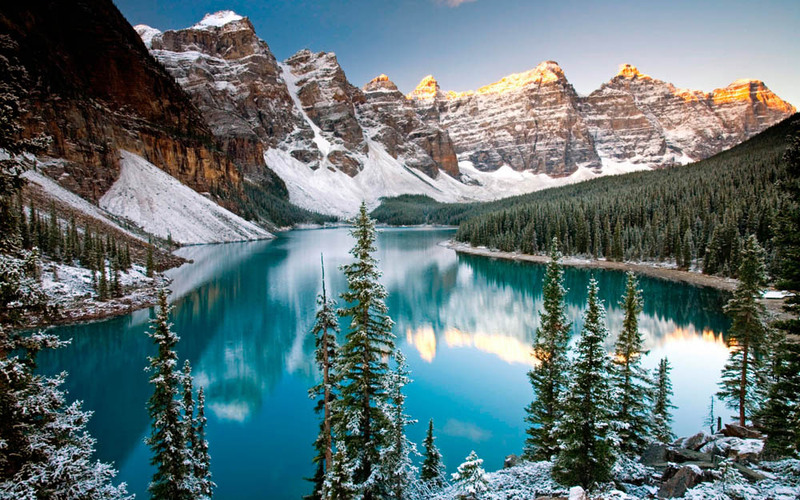 This remote presence technology is currently in use in Saskatchewan, Canada - to provide care to acutely ill children living in remote Northern communities. 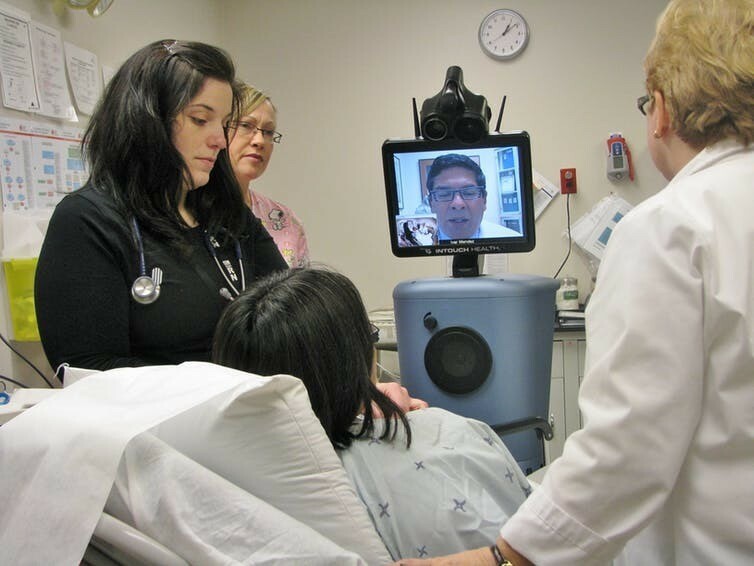 A team uses a remote presence robot to see a patient in the emergency room. In Saskatchewan, we have established a remote medicine program that focuses on the care of the most vulnerable populations - such as acutely ill children, pregnant women and the elderly. 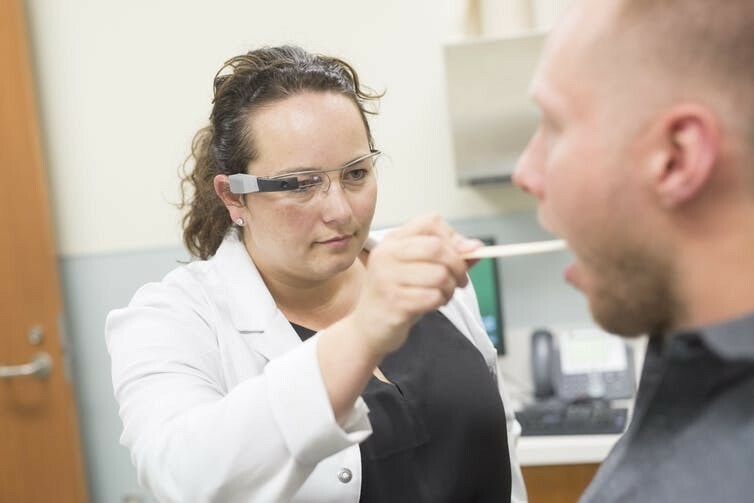 A nurse examines a patient with Google Glass. Although remote presence technology may be applied initially to emergency situations in remote locations, its major impact may be in the delivery of primary health care. We can imagine the use of mobile remote presence devices by health professionals in a wide range of scenarios - from home-care visits to follow-up mental health sessions - in which access to medical expertise in real time would be just a computer click away. Remote presence technologies have the potential to shift this - so that we can deliver medical care to a patient anywhere. In this decentralized model, patients requiring urgent or elective medical care will be seen, diagnosed and treated in their own communities or homes and patients requiring hospitalization will be triaged without delay. The future of medical care is not in building more or bigger hospitals but in harnessing the power of technology to monitor and reach patients wherever they are - to preserve life, ensure wellness and speed up diagnosis and treatment.